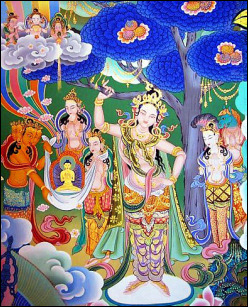 We celebrate Saka Dawa, one of the four great holy days of the Tibetan calendar, which commemorates the Buddha’s birth, enlightenment, and parinirvana. 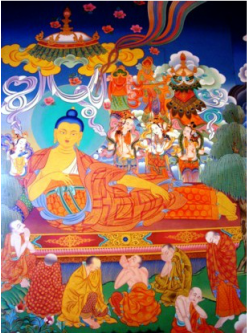 Lama Zopa Rinpoche frequently mentions that on great holy days such as Saka Dawa, the merit generated by any wholesome activity is multiplied 100 million times. Stealing, taking what is not offered. Intoxicants: alcohol, tobacco, and drugs (except for medical purposes). Eating more than one main meal during the 24 hours. The meal should be taken before noon, with only light liquids permitted after that. At other times of the day one can take light drinks, but not undiluted whole milk or fruit juice with pulp. Avoid eating black foods: meat, eggs, onions, garlic, and radishes. Sitting on a high or expensive bed or seat with proud motivation. Wearing jewelry, perfume, make-up, and singing, dancing, or playing music with attachment. 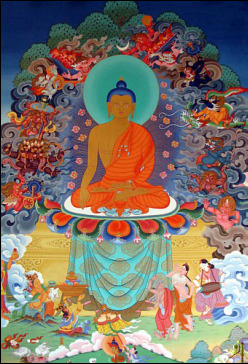 This practice develops one's motivation, the mind of refuge, and the thought of bodhichitta. The lamrim prayer covers all the realizations on the path to full awakening. Animal liberation is a profound method to prolong life and cure sickness. Relying on the truth of cause and effect, practitioners make special effort to give life and benefit to helpless creatures that are on the verge of being killed. By performing this powerful practice, we not only save these beings from immediate suffering, we also create the cause for their attainment of better future lives, from life to life to full enlightenment. Donations are appreciated. Your generous donations are essential for the continuation of programs like this.